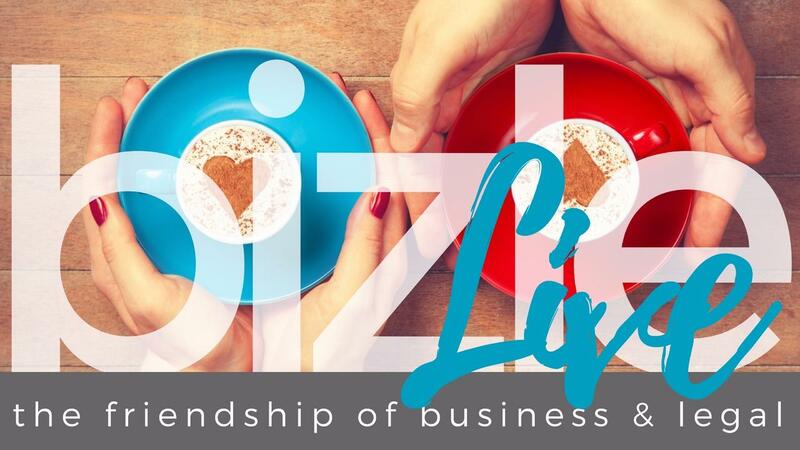 You're invited to bizle™ Live! No more waiting for a recorded webinar to start, not another pdf download that ends up forgotten, and no webinars with clever teasing techniques to get you to stay on until the end. This is an experience, where you can come in, sit down, relax, and access understandable, actionable, and accessible information about how business and legal really can be great friends in your business. How to keep the friendship between business & legal strong and avoid miscommunications! Each week, we'll start with a new focus and during the week we can talk about whatever you'd like in our bizle™ community. I know how much goes into starting, running, and growing a business ... I also know how to make some very large and scary pieces of that - much easier and far more fun for you.